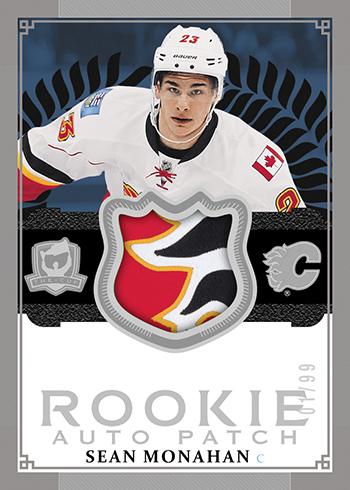 Upper Deck has determined two shipments that included unsigned cards from 2013-14 NHL® The Cup have been taken and are being sold by an unauthorized third party. 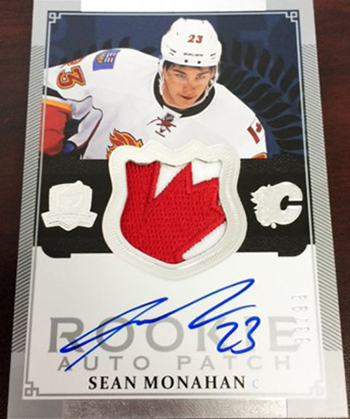 The cards in question were card #138 of Brendan Gallagher (#’d to 249) and card #190 of Sean Monahan (#’d to 99). Upper Deck reprinted these cards and utilized different imagery than the originals so that fans will know the difference between the two copies. Attached are images of the lost cards that fans should know are uncompleted. 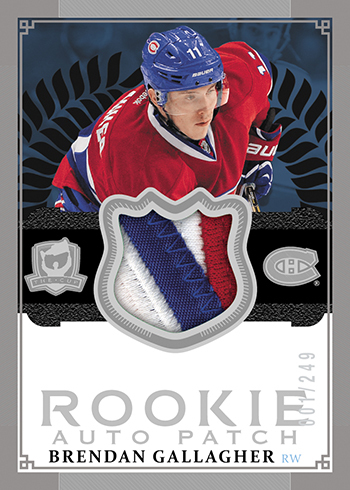 Recently we have seen unsigned and signed copies of the Brendan Gallagher card surface in the secondary market. We recommend collectors DO NOT purchase any of the signed or unsigned cards. The cards are Upper Deck property and we ask that if you come across one of the cards, that you contact our Fraud Investigations Team immediately at FIT@upperdeck.com. If you purchase one of the signed cards, the signature cannot be authenticated because the signatures were not obtained by Upper Deck. We appreciate the patience of those who have registered redemptions for these cards. We are happy to report the cards were reprinted and have no been signed by the athletes. Authentic copies are being shipped to customers who registered their redemption cards with Upper Deck shortly. Sylvain Thibodeau on facebook posted an image of a signed version of the blank Gallagher and you can see in the Sig that the B in his sig is fake….and hes stating on facebook that your story is false that he signed them and just never returned it to you, I have a pic of it, but I cant submit it here, if you want it….just email me an address I can send you a pic of that card….he claims he has 10 of them and has sold 3. I hate that these are surfacing in Quebec which im not totally surprised for I live here and it will just tarnish the honest buyers and sellers. joe – Please send an email to our Fraud Investigation Team at fit@upperdeck.com will all the details. Thank you. Please have a look at the comment I currently left. Let me know if you need any help. ill CC you in the email with all the pics…. It’s been a long while now, what’s the status? Hi Any Further updates? Fans have been waiting a long time.